We offer a full range of Westshore property management services tailored to you as an investor, homeowner, or landlord. 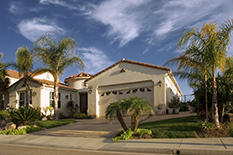 We have an extensive portfolio of single family homes, townhouses, condos, and apartments in the Westshore area. The Westshore area is a principal business district of Tampa, with two major shopping malls (International Plaza and WestShore Plaza) and more than 200 restaurants and bars. Westshore Boulevard is the district's main thoroughfare. The Westshore Business District includes Tampa International Airport, the headquarters of OSI Restaurant Partners (owners of Outback Steakhouse, Carrabba's Italian Grill, and other restaurant chains) and International Plaza and Bay Street, a large upscale shopping mall built in 2006 to give travelers an option to shop and dine in high-class surroundings, while staying near Tampa International Airport (which borders the property). The same year the Renaissance Hotel Tampa/International Plaza was opened on the premises, making International Plaza one of a handful of malls in the U.S. to have a hotel directly on the mall campus. Although mostly zoned for commercial use, there is also plenty of residential space in the area, including water view and water access. 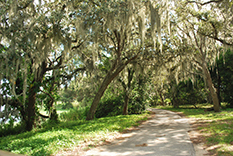 Some of the most charming and lovely neighborhoods of south Tampa can be found in communities along south Westshore Boulevard (e.g., Culbreath Isles, Beach Park, Culbreath Bayou). At the southern end of Westshore Boulevard is the Westshore Yacht Club which provides beautiful views and an array of resort style amenities and facilities, including The Bay Club with several eating venues, Spa Nautique offering spa services to residents, and a state-of-the-art fitness center featuring a wide range of custom training equipment and offering a magnificent view of the tropical pool deck and Old Tampa Bay. The Westshore Yacht Club Marina offers 149 slips ranging from 40' to over 100', accommodating vessels with drafts of seven to eight feet, 24-hour video monitoring, dockside power-pedestal infrastructure (which includes individual slip electrical metering, potable water, telephone service, lighting and cable television).